Diamonds are forever – okay but what are they and what should we know about them? 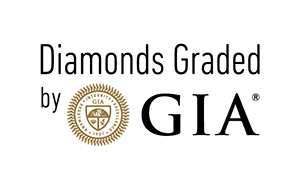 There are millions of guides online that cover the chemical or gemological attributes of diamonds and although we think they are valuable we want to give you a more commercial guide that will help you navigate through the world of retailers and bombastic signs. But before we go straight to the marketing tricks different retailers use to misguide customers we do have to go through the basics, so bear with us, we promise to make this swift yet clear. First - what are diamonds? Diamonds are basically carbon atoms that were heated deep in the earth’s mantle and formed some sort of crystal shape. Due to their hard and strong structure there are few elements (such as Boron and Nitrogen) that can attach to them and give them different tints or imperfections. Diamonds are found in nature in various forms that resembles stones you see when hiking in the countryside. They are then cut into smaller pieces in order to be polished to the shapes we know. The picture below shows the main shapes that we use today although you may find many more other shapes. Without going too much into technicalities and small print about each one of the C’s, here is a brief introduction to each one. Carat – The diamond’s weight. Carat does NOT indicate size rather the stone’s weight, every one carat is 200 milligrams (or every 5 carats of diamonds are 1 gram –easier eh?!). 1 carat is also referred as 100 points so a diamond of 0.5 carat is same as 50 points diamond. Cut – The cut refers to the proportions, finish, symmetry and polish of the diamonds and a well-cut diamond is proportioned, symmetrical, and polished. It means that the diamond reflects light better or more even and has that sparkle we all love. Colour –The colour of the diamond or more accurately its tint. A colourless diamond will be also referred as white diamond and the lower the colour is on the colour scale the more yellowish it will be. The scale goes from D to Z where D is the highest grade meaning colourless and Z is considered light yellow. Usually when purchasing one big diamond, say when buying an engagement ring, the colour of the diamond is obvious as there is a certificate which says what colour the diamond is. The problem arises when dealing with jewellery that is not engagement ring; in this case very rarely does the jeweller mention the quality of the diamonds which we feel is a shame and can be misguiding. Unfortunately, it is more and more common these days to use poor quality side stones or small stones while crafting the jewellery, as the consumer doesn’t know nor cares about it when making the purchase. We feel it is important to explain to you the main definitions for small diamonds sold today. Commercial colour diamonds – This refers to diamonds ranging from D-H colours, it will look great on white, yellow and rose gold. Champagne colour diamonds – most of the times this refers to diamonds ranging from I to M colours, they have a slight yellow tint which noticeable to the naked eye, even when set in jewellery. Top light brown / Top Top light brown (TLB/ TTLB) – refers to diamonds with a brownish tint. They are much cheaper as they are intrinsically not white although may sometimes, when looking at them face up (from the top) have a nice spark to them. Some retailers try to present them as something special but they are not, just brown. Clarity – Measures the inclusions in the diamond, the more inclusions there are and the more obvious they are the lower the clarity grade. Many people are concerned that choosing a diamond with a lower inclusion grade will mean the diamond is ‘dirty’ with spots, which may be true but not entirely. First, inclusions may vary in size, shape and colour, meaning that two diamonds with SI1 clarity grade can look very different, one will be ‘ugly’ and the under stunning- clarity wise. Second, between the grades of FL-VS2 the naked eye can almost never spot any inclusions and even under a 10x magnification it is very hard to spot any defect (FL-VVS2). So before you rush to mortgage your house for that flawless diamond, think how crucial it is for you to pay for something that no one can see and doesn’t affect the durability, strength and uniqueness of your diamond. A comment on fake diamonds – some retailers prefer to not mention they use fake diamonds and choose to use the scientific names given to whatever they’re using. The problem with using such materials is that they are not very durable and although they look great at first they scratch within days and look dull and lifeless. It’s a bit like buying a cloth that will only last one wash.
(Same applies for plated gold by the way, at some point the plating chips of and you are left with a piece worthless metal). Common stones used as fake diamonds – Cubic Zirconia (synthetic) and Zircon (natural but very soft). We hope you gained some knowledge about diamonds and the way they are marketed today. If you have any questions while browsing our website do not hesitate and send us an email.